At first, “swamp fires” might seem like an oxymoron, and I was certainly surprised to read about them when I read Suspended Access, the history of the Opiki toll bridge. 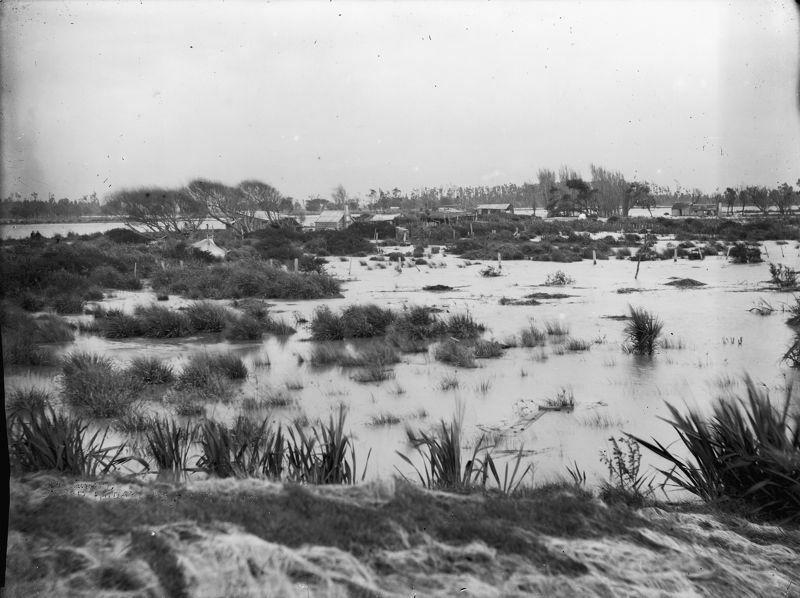 In this history, Molly Akers relates how, as the floodplains around the lower Manawatu River were drained to stimulate flax growth for milling, peat fires in the swamp became a continual menace. What makes peat fires unusual, in comparison to forest or scrub fires, is that they burn underground. In some parts of the world these fires continue unquelled for months. Peat, which is comprised of partly decomposed plant material, is highly flammable, and for that reason has long been exploited as fuel. In New Zealand, peat fires were most common in the Waikato, where there are numerous peat wetlands. This newsreel from 1946 shows footage from one such fire. In the Manawatu, the source of the peat was long-buried forests, flooded by the successive rise and fall of sea levels over two to three thousand years. Samples of timber taken from 143 feet depth have been found to date to this period. Flood waters from the river flowed freely across the swamp, leaving layers of river silt to mingle with decaying plant material, which over time formed the peat material of the swamp. More very interesting history. Thank you.